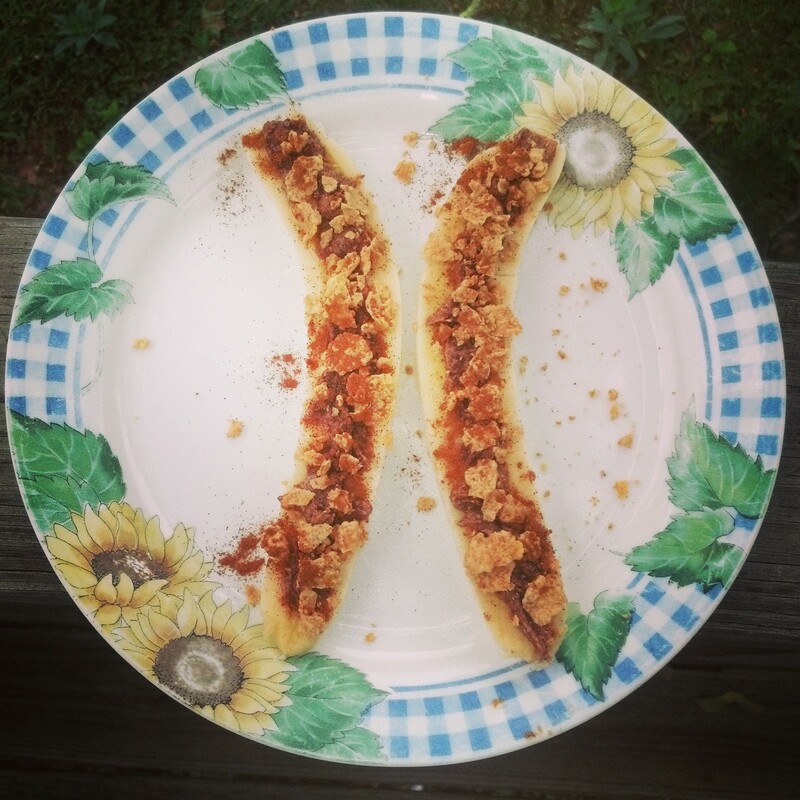 Banana Boats Dessert – Love. Nourish. Heal. Perfect snack after a hard training session – when it’s too late for breaskfast but too early for lunch! 1/2 cup of Granola (your choice! Start by slicing the banana down the center, being careful not to break the shape. Spread the almond butter on the insides of both halves. Sprinkle the granola and cinnamon. Use your hands, or grab a spoon, and feed your tummy!